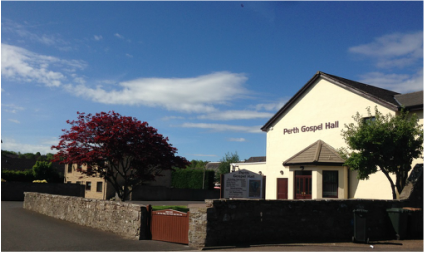 Perth Gospel Hall is located on the junction of Huntingtower Road and Balgowan Road. ​It is a 10 minute walk uphill from Tesco and McDiarmid Park. ​There are numerous signposts in the area giving directions to 'Gospel Hall'. The full postal address is: Perth Gospel Hall, Huntingtower Road, Perth, PH1 2LH. If you are using a sat nav please enter Balgowan Road, rather than the postcode.